The painkiller Subsys, shown here in spray form. By agreeing to cooperate with prosecutors, he could become a crucial witness at the trial in January of six former Insys executives accused of participating in the scheme. They include the company’s billionaire founder, John Kapoor. Burlakoff, 44, of West Palm Beach, Fla., and other Insys employees allegedly used a variety of schemes to bribe physicians and other medical personnel at pain clinics in different states to prescribe Subsys. Subsys is a powerful, fentanyl-based pain medication intended to treat cancer patients suffering intense pain. Those methods included paying doctors to be Insys speakers if they wrote prescriptions for Subsys, according to prosecutors. The more prescriptions written for Subsys — and the higher the dose — the more fees and speaking opportunities were awarded to the clinicians. In other instances, employees in a doctor’s office were moved onto the Insys payroll, as were relatives and girlfriends of medical professionals who wrote a lot of Subsys prescriptions, prosecutors said. 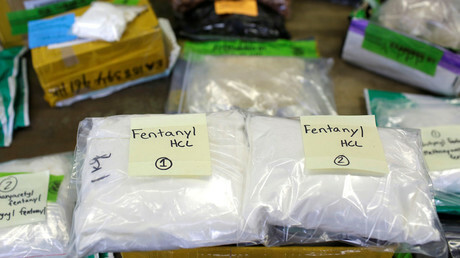 As a result of the conspiracy, prosecutors said, many patients were inappropriately prescribed Subsys, which is highly addictive and dangerous. The racketeering conspiracy charge carries a sentence of up to 20 years in prison, three years of supervised release, and a fine of $250,000. The US attorney’s office in Boston has for years played an outsized role in the prosecution of health care fraud in the country, even if the companies involved are not based in Massachusetts. As many of our readers know, we have somewhat of a recycling crisis here in Framingham. It's so far costing us 161,000 dollars and could grow if we don't clean up our recycled materials. The Chinese are rejecting more of our recycled materials, cardboard and paper for contamination reasons. Tonight at the Costin room, our recycle guru Stephen Sarnosky from the DPW, Sanitation division will tell us what can and cannot be put into the recycle bins. Starts at 7PM. This is another League of Women Voters informed Framingham event. With global demand for hemp surging, China’s sector is poised for years of dramatic growth. In 2017, Chinese hemp sales totaled $1.1 billion (USD), approaching 1/3 of the $3.1 billion global market, with sales forecasted to grow to $1.5 billion (up 36%) by 2020. In 2017, textiles accounted for about 3/4 of China’s overall sales of $823 million (USD). Hemp-derived CBD accounted for Chinese sales of $53 million (USD) in 2017 but is forecasted to more than quadruple (by 4.3x, to $228 million) by 2020. Why we don't see more flaggers around construction sites. We may never see flaggers if it's left up to the Legislature who are ruled by police unions. A government watchdog group said the state’s flagger reform effort is coming up short on savings because of rules that keep wages for non-police traffic direction tied to the rates earned by cops. The Pioneer Institute released a report today saying the Department of Transportation’s savings have “not been significant” — $23 million over three years — after the law passed allowing for non-cops to wave cars by at construction sites. “Rates for civilian flaggers are effectively set by the rate paid to police performing flagger duties,” said Pioneer research director Greg Sullivan, a former state inspector general, who wrote the report with research assistant Michael Chieppo. Massachusetts was the last state in the country to allow for civilians to work as flaggers on construction sites. The law, passed under former Gov. Deval Patrick over the protests of police unions, has not led to widespread use of civilian flaggers. That’s at least in part because, the study’s authors claim, the state prevailing-wage law ties civilian-flagger wages to what cops would be getting for the same job — an average of $43.44 an hour for the civilian flaggers, well over the $28.99 nationwide average. “Gov. Patrick’s reforms were effectively negated in practical application,” the report states. Flagging work less commonly falls to cops in other states, where civilian flaggers are the norm for many projects. The report says only four other states have prevailing-wage laws in this regard as strong as Massachusetts, mandating that the state has to pay at least the going rate negotiated by organized labor for the same job. The savings the state has seen come from the fact civilian flaggers are only paid for hours worked, whereas police flaggers are paid in four-hour blocks, so they are on the clock often for more hours than they actually work, says Pioneer, a small-government research organization. The report calls on the state Executive Office of Labor and Workforce Development to determine a prevailing wage for flaggers — one that’s not directly tied to the one negotiated by the cops. “The state and municipalities would have a far greater incentive to use civilian flaggers,” the report states. Gov. Charlie Baker’s office left the possibility of proposing a rule change up to the Legislature. “The administration supports the use of a combination of police details and civilian flaggers on projects as directed by law, and would carefully review any legislative proposals that reach the governor’s desk,” Baker spokeswoman Sarah Finlaw told the Herald. Neither the State Police Association nor the Boston Police Patrolmen’s Association could be reached for comment. Previous to 2008, all roadwork in Massachusetts had to have police officers on scene for traffic control. After the law change, projects on many less-traveled roads could use the civilians instead. About 4.4 percent of MassDOT’s roads budget went to flaggers in the five years before the law. That portion dropped to about 3.4 percent after the change. I hope all of our readers enjoy the Holiday with family, friends and good food (without romaine lettuce of coarse). Stay warm.. it's gone a be a cold cold day. A pair of veterans will stand at the center of history-making moments scheduled for this week: the first legal marijuana sales in Massachusetts in more than a century. At 8 a.m. on Tuesday, Iraq veteran and medical marijuana advocate Stephen Mandile will walk into Cultivate, a hybrid medical-recreational cannabis shop in Leicester, and buy a quarter-ounce of pot — preferably a sativa — plus some edibles. Around the same time, Air Force veteran and Northampton Mayor David Narkewicz will approach the counter of New England Treatment Access, or NETA, a similar facility in his city that invited him to be its first customer. He plans to purchase an edible of his own, perhaps a THC-infused chocolate bar. Together, the two men will kick off a new era of legal cannabis sales in the Eastern United States. For Mandile, the moment will be deeply personal. He says he kicked a crippling painkiller addiction by instead treating the PTSD, traumatic brain injury, and chronic pain he developed during his Army service with marijuana. It will also be the culmination of years of advocacy aimed at improving veterans’ access to the drug. Narkewicz, who quickly noted he “flew a desk” in the Air Force and Air National Guard in the 1980s, sees the start of recreational pot sales somewhat differently. For the mayor, elected in 2011, it’s a chance to prove that the marijuana business can be, well, business as usual — little different from the brew pub ribbon-cutting he attended last week or the restaurant opening he’ll attend next week. In 2017 Beacon Hill rammed a bill trough to increase pay for themselves and others, including Baker who at the time refused the increase and aid it was "drastic and fiscally irresponsible". What a difference a year makes. Baker is now accepting the pay increase of nearly 100,000 dollars which includes a housing allowance. His salary will be 185,000 dollars which is around the same salary as our Mayor gets now. Lt Gov Polito will have her new salary at 165,000 dollars. Israel has lead the world in studying the effects of CBD on a variety of adult and children's illnesses. And this one might be of interest to some of our readers here. Might be a game changer for some who have tried everything. Jerusalem, Israel: The daily administration of CBD-dominant cannabis extracts is associated with improved outcomes in adolescents with autism spectrum disorder (ASD) and severe behavioral problems, according to clinical data published in the Journal of Autism and Developmental Disorders. Israeli researchers assessed the efficacy of whole-plant cannabis extracts in a cohort of children with ASD. Participants were administered extracts containing a 20 to 1 ratio of CBD to THC for periods of 7 to 13 months. Patients demonstrated "overall improvement in behavior, anxiety, and communication" following daily cannabis dosing. Just over half of the participants either reduced or ceased taking prescription medications during the trial period. Authors concluded: "Following the cannabis treatment, behavioral outbreaks were much improved or very much improved in 61% of patients. … [T]he results of the current study render worthwhile further exploration of this treatment avenue in controlled studies." The BOH regs incorporate all of the State regs plus their own reefer madness. Any retail store will have to pay 2k for a permit from the BOH. Leaving no stone under turned on page 15: 15:00 Effective date is January 8, 2014. I've seen it all now. What little kid would write threatening notes to a Muslim girl in middle school? I just can't believe there's that much hate in our middle school. When they find out who did this, what will be the ramifications? Expel the student? Will the kid be charged criminally? And who are the perpetrators parents? Do little kids really understand what they are doing? This just makes me sick knowing that our community of little school age kids are that hate filled. “Today we had another serious incident that threatens the safety of the Hemenway Community. This morning the same student who had received a hate note in her mailbox on Friday, found another threatening note. Again all students were upset and saddened that their classmate had received yet another note. At this time we still do not know who wrote either note,” wrote Hemenway Principal Liz Simon to parents. Will our local access stations survive? The cable giants want congress to help them make more money in reducing the amount of money (cable franchise fees) that a community can get to produce government meetings, local access and education channels. I can't imagine Framingham could could cover the million dollars a year to keep all three stations afloat. I remember the Telecommunications Act of 1996 and how it played a role in expanding the coverage of government meetings and local access productions and the school channel. This is not a red or blue thing, it's all about greed and the influence the cable giants have on our political system. Karen Spilka the beloved Senator from Framingham and Senate boss had 4439, Maria Robinson with no competition got 3620 our of 13,530, Lewis got 812 our of 4228. As apposed to ballot questions, Q1 1005, Q2 837 and Q3 595. Councilor Jubinville got 5137. My spin is that voters felt strongly about the ballot questions but by blanking out the others, a point was being made. Or is it some voters just didn't know about the candidates? I've written about this lately and yesterday the Globe reported that the IRS and the FBI are looking into Mr. Pullman's fraudulent use of union dues. He was collecting 91k in salary and another 71k for being the union boss and is now not working but using accrued sick time. His new replacement Mark Lynch has agreed to cooperate with the investigations of un-controlled spending by Pullman. The union collects almost 2 million a year in dues. I wonder how much money would be in the pockets of those troopers if they didn't pay union dues. Colonel Gilpin stopped a practice that allowed Pullman to collect full trooper pay while doing union business and the union went to court trying to stop her order. This practice has gone on for 12 years. The union has spent big money trying to lobby Beacon Hill and it's generally accepted that no one goes against the State Police union. With the elections over, will anyone from the administration ever clean this mess up? How have we gotten to such a place and time in our history? Smarter minds than mine will have to dissect this latest horrific shooting in California. I can't find any more words that describe my sadness over this re-accruing event. But as I see it.. there's two issues at play here. One is that the shooter had an extended magazine which is illegal. The shooter was a legal gun owner. If we had better background checks, MAYBE.. incidents that happened before the shooting MAY have stopped him from purchasing a hand gun to begin with. It appears after the fact, that this former Marine did have so anger issues and was a gunner in Afghanistan. And his FB posts seem to indicate he was on a suicide mission. The second issue is that the shooter was a combat veteran who most likely was involved in serious warfare with combatants that don't care if they live or die. Our country should immediately find every combat veteran and have a sit down with each. These poor kids are suffering with server anxiety and need the country to realize that. Not that every combat veteran has issues but the evidence is mounting, these guys need our help now. With Veterans Day around the corner, a time to raise our collective glass to all who have served this country, I'm sure veterans have a deeper sympathy for their fellow comrades already and now it hurts. Referring to all as eligible, out of the six women and three men, Spicer chose Gillian Carcia, Laura Housman and David Moore, M.D., to fill the spots on the board. The BOH is now down to 3 members. One good news is that Hugo ( if he applied) did not get re-appointed. The bad news that Dr Moore who was famously quoted in the pot shop debate in saying "lives are at stake". And Ms. Housman who didn't understand the ballot question and insisted the Council only allow three shops. I guess when considering a candidate, past performance is not part of the evaluation process. Neither of those two are fit for the BOH. This meeting is so enlightening and scary at the same time. The proposed capital projects list is huge for the next few years. A few things that stuck out were the request for more studies on our Town owned buildings. There's 200,000.00 in that line item for facilities. I wrote to G King last night and asked why we needed more studies and wrote that J Palini would know more about our buildings than anyone. The other area is the amount of road repair, 3 million in the next years budget. I wrote to G King and asked why we needed to put that much into road repair. Lastly, the DPW budget for water and sewer is huge. No getting around that our system needs to be updated. But my rant is how much is in the budget for details... G King reports that it's 875,000.00 dollars. I would think professional flaggers would or could save so money. Have a looksee at the show.. Mary Ellen does her best to defend all the proposed spending. But G King made it clear, they can't raise the water and sewer rates past 1 or 2% every year. Some hard choices have to be made. It remains to be seen if the dark blue status will make any difference in our community for the next 2 years years but we can hope. According to results posted to the town’s website Tuesday night, the majority of voters in his hometown of Winthrop and the portion of Revere he represents voted in favor of a pair of nonbinding questions intended to specifically needle DeLeo, who has represented the seaside communities as a state representative since 1991. That measure implicitly took aim at DeLeo for successfully pressing to erase the term limits for his speaker ship in 2015; to hike his own total yearly pay by about 50 percent in 2017; and for presiding over a Legislature where lawmakers and their aides routinely become lobbyists. In Winthrop on Tuesday, more than 55 percent of the town’s 7,702 voters voted in favor of that measure. Thirty percent voted against it, while 14 percent left their ballots blank. The other ballot question intended to tweak DeLeo asked voters if the district’s state representative should take action on global warming. Specifically, it asks if the legislator “be instructed to vote in favor of the global warming solutions implementation act which would require the state to create a clean energy road map for meeting 2050 emissions limits” set by a 2008 piece of state legislation. The majority of Winthrop voters cast their ballots in favor of that nonbinding measure, as well, with 61 percent voting yes, just under 25 percent voting no, and 13 percent leaving the question blank. The majority of voters in the parts of Revere that DeLeo represents also voted in favor of the two measures, according to the city’s Election Commission, with 65 percent of the 5,462 voters voting in favor of the climate change initiative and 57 percent of voters voting in favor of the other measure. I get we want the best pain reliever for our troops. But how long until we see people dying from this new more powerful drug? we can't even control what's on the market now. It's only a matter of time before clandestine labs start making a copy of this drug for the streets. Last night we attended a service at Temple Beth Am. It was billed as a service of unity, pride and commemoration in light of the attack on the Tree of Life synagogue in Pittsburgh. Having never been to any service in a synagogue before in my life, I was very impressed with the service itself. Lots of singing and good vibes coming from the speakers. Other religious groups could learn a lesson from this type of service. It was a jammed packed house and the service ended with the crowd singing Woody Guthrie's "This Land is your land". A few of the usual suspects were there, noticeably missing was the majority of city councilman. But the Mayor was there with her body guard within feet of her at all times. It makes me wonder what reasons the Mayor feels it's necessary to bring a body guard into the synagogue. Does she fear for her life? Have there been threats against her life? Since becoming a city, have things gotten so bad that our elected officials need protection? I understand the notion that a horrific event can occur in any place in our lives and the need to protect those who are soft targets for the extremists, but I never thought I would see an armed body guard in a house of worship. If anyone followed what happened yesterday at ALL commuter train stops around Boston, you'd see that trains were packed and most just couldn't stop to pick up more passengers. More trains were added to relieve the pressure but many were left at stations waiting for a train. I write about this because we saw first hand what would happen if many more people rode the trains. Every parking facility was jammed by 8am and people had to find other places to leave their cars. We've heard a lot about mass transit... and how the elected and want to be elected propose fixing the system. But yesterday's influx of people into Boston showed clearly we are not ready for more riders or even have enough parking facilities to handle many more riders. I got me thinking about the tracks themselves. Why couldn't we lease track time to an independent carrier to fit in between the trains that run now? Cable companies do that with wire on a pole now. So do cell towers who rent space on their tower to other communications companies. Recently someone has suggested using light weight electric trains above ground in Boston. Light weight transit has been around in various cities across the country.
" Transit providers in the U.S. have continually cut basic local service in a vain effort to improve their finances. But they only succeeded in driving riders and revenue away. When the transit service that cities provide is not attractive, the demand from passengers that might “justify” its improvement will never materialize". Baker has said he has poured a billion dollars into mass transit, Gonzalis wants to tax colleges for transportation and education purposes and fire Keolis and bring management inside. I haven't heard any new ideas to solve the mass transit issue, but if we don't get going soon, traffic on our roads will hurt employees and employers. The only quick infusion of money would be to toll our major highways.